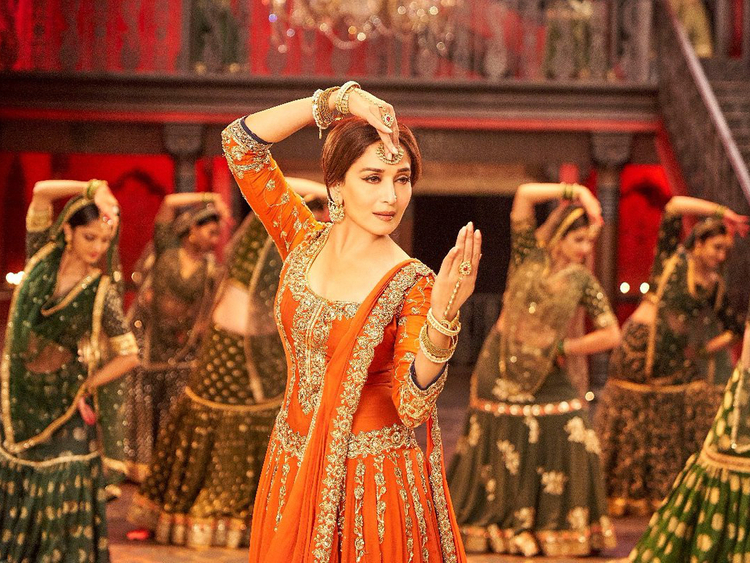 Madhuri Dixit Nene, who has joined creative forces with veteran choreographer Saroj Khan for dance number ‘Tabha Ho Gaye’ in the film ‘Kalank’, says the dance director knows how to make women look graceful on-screen. In the past, the two artists have worked on memorable songs such as ‘Ek Do Teen’, ‘Choli Ke Peeche’, ‘Dhak Dhak Karne Laga’ and ‘Maar Daala’. “Saroj ji is one of the choreographers I have collaborated with who goes beyond the surface of lyrics of a song when she choreographs. In cinema, we tend to create steps keeping the camera angle in mind. But Sarojji doesn’t limit the dance in physical movements,” said Dixit Nene. “She finds a spiritual aspect and works on expressions. She knows how to make a woman look graceful and beautiful through a dance. “Perhaps that is why every song we did together, holds a recall value even today. If the youngsters are still dancing to those numbers, I think we did something right,” she added. Tabah Ho Gaye’, a solo dance number picturised on Dixit Nene, will release on April 9. It is choreographed by Saroj Khan and Remo D’Souza. Since Dixit nene is a trained Kathak dancer, from the beginning of her career she has also cemented her space as a skilled dancer. With changing times, is the appreciation of classical dance in Indian cinema fading away? “No, I do not agree with that at all. The audience is always intelligent. It is a wrong notion that youngsters only like hip-hop and western dance. After a long time, we have seen a dance like ‘Ghar More’ [from ‘Kalank’] and the audience has really loved the dance. It is a classical dance form that we have presented to the audience and they have enjoyed it,” said the actress. “It only shows that if the dance is well-choreographed, no matter which form (of dance) it is, people will like it... people of all generations. I think that is the power of good dancing. I am quite confident about ‘Tabah...’ also, because again it is a very emotional, poised, nicely choreographed song,” she said. Directed by Abhishek Verman, ‘Kalank’ also features Alia Bhatt, Varun Dhawan, Sanjay Dutt and Sonakshi Sinha. The film releases in the UAE on April 18.